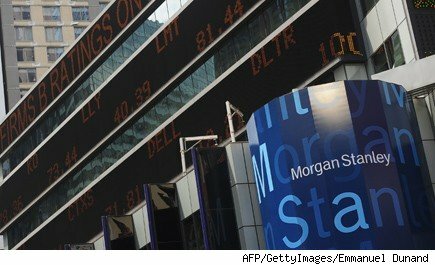 When the financial crisis hit in 2008 and America's banks were teetering on the brink, the U.S. government made a controversial decision: Some of these banks -- Bank of America (BAC), Citigroup (C), JPMorgan Chase (JPM), Morgan Stanley (MS), and Wells Fargo (WFC), to name a few -- were too big to fail, and had to be bailed out, lest their bankruptcies pull down the entire U.S. economy. The government immediately began a program to chop the banks up, require them to divest their subsidiaries, and slim down to a smaller size so that they would never again pose a threat to the integrity of the financial system. Instead, the government gave them carte blanche to buy a bunch of smaller banks, gave them tens of billions of dollars of nearly interest-free loans, and encouraged them to get even bigger. So how's that working out for us? Well, just last month, international megabank HSBC (HBC) -- technically a British bank, but with sizable operations in America -- settled a major case involving its laundering hundreds of millions of dollar in money of international terrorists, drug cartels, and even one notable member of the "Axis of Evil." For its crimes, it was punished with a fine equal to about four weeks' worth of profits, and told to go now and sin no more. The reason: According to government regulators, HSBC is now "too big to jail." Doing anything more than levying a small fine to punish the bank for its crimes, apparently, would have a "systemic effect" on the American economy. Um, Systemically Bad or Systemically Good? Not everyone agrees with this assessment. In fact, deep in the heart of Texas, one government regulator is sounding off about the dangers of both too big to fail and too big to jail. If you ask Federal Reserve Bank of Dallas President Richard Fisher, the solution to all these megabanks being "too big" is to make them smaller. Chop 'em up. Whittle 'em down. Or in the language that these megacorporations like to use in similar situations pertaining to their employees, "right-size" them. In a speech last week, Fisher called America's megabanks "overly complex." According to the Independent Community Bankers of America, Fisher noted that "99.8 percent of the nation's banks are subject to failure, which ensures that these smaller institutions limit their risk." The nation's 12 largest "megabanks," in contrast, hold 69 percent of U.S. banking industry assets, and have been given a blanket guarantee that they're too big to fail. Says the ICBA: "The result is limited market discipline and greater risk, even while these institutions enjoy the benefits of the federal safety net." To fix this, Fisher urges the too big to fail banks be, as the ICBA says, "restructured into multiple business entities [so] that only their resulting commercial banking operations ... benefit from the safety net of federal deposit insurance and access to the Federal Reserve's discount window." He's not the only one advocating this. Last week, the ICBA argued that "splitting up and requiring greater accountability of too-big-to-fail financial firms will help reinstate financial market discipline and prevent future crises." It might also be good for investors. Last week was earnings season for many of America's bankers -- an event that happens four times a year, when just about everyone who's anyone in banking reports their earnings for the preceding quarter. This particular week contained some surprises. According to a Wall Street Journal summary of the week's results, Bank of America reported a "63% decline in fourth-quarter net income" last week. Citigroup, whose profits increased, saw a smaller increase than Wall Street analysts had projected, and suffered nearly a 3 percent decline in share price Thursday. In contrast, the Journal says, a "regionally diverse group of smaller lenders has been thriving." PNC Financial (PNC), Fifth Third Bancorp (FITB), and BB&T (BBT) all showed "rising revenue, solid profit and expansion in lending volume" last week. Why? In part, says the Journal, it's because these smaller -- small enough to fail -- banks are running "simpler businesses and [have a] sharper focus on local customers." Meanwhile, bigger banks suffer from "public disaffection with giant firms that are perceived as slow and unresponsive." The conclusion here is almost painfully obvious. On one hand, we have a group of a dozen or so megabanks that aren't just unaffected by the laws of economics -- "too big to fail" -- they're downright beyond the reach of the law -- "too big to jail." Permitting them to remain so just can't be good for the economy. On the other hand, what we're seeing in the banks' earnings numbers today, right there in black and white, is that fixing too big to fail and too big to jail could be good for everyone involved. Split up the megabanks into smaller, more localized lenders, and not only can we improve their profits, but we can also improve the reputation of the bankers, and induce them to deliver better service to customers. And, last, but surely not least, just maybe we can avoid the next Great Recession in the process. Motley Fool contributor Rich Smith has no position in any stocks mentioned. The Motley Fool recommends Wells Fargo. The Motley Fool owns shares of Bank of America, Citigroup Inc , Fifth Third Bancorp, JPMorgan Chase & Co., PNC Financial Services, and Wells Fargo.